SOYDAVO is committed to protecting girls and women from Violence Against Women and Girls. 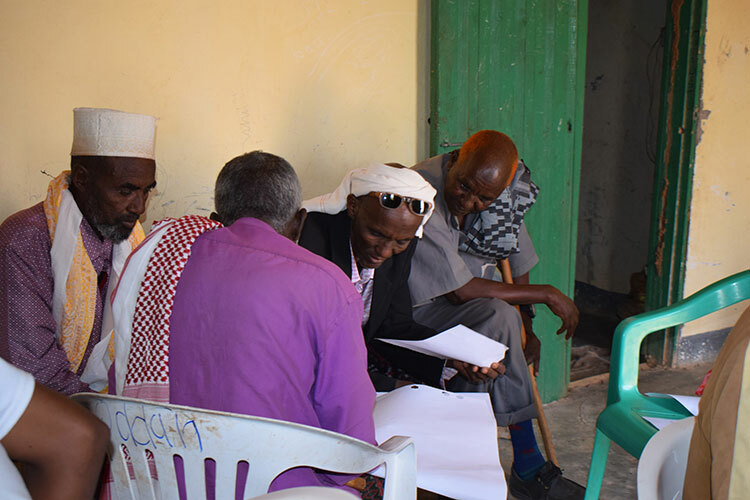 SOYDAVO’s Protection projects focus on building local capacity and employs community-driven approaches aimed to tackle the most extreme violence in Somaliland including FGM. According to the recent reports, the FGM prevalence rate is 95% in Somaliland – that means every girl is possible to go through this brutal and inhumane traditional practices. SOYDAVO is working in more than 30 villages and IDPs in Togdheer, Sool, Sanaag and Sahil regions of Somaliland to prevent and protect girls from Violence and FGM. SOYDAVO’s GBV and gender equality projects are funded a number of donors and partners including International Solidarity Foundation – ISF, Norwegian Refugee Council – NRC, and AmplifyChange UK. SOYDAVO’s approach to GBV and FGM builds the local capacity of the communities through attitudinal and behavioural changes. We work with the influential community leaders, parents and religious leaders to address the FGM and GBV. Our community volunteers in villages we work and act as safers. We prevent FGM through our work with the volunteers who are responsible for the identification and assessments of the girls who are at risk of FGM. We carryout public awareness sessions and campaigns aimed to educate the public about the negative effects of FGM and GBV. Together we can save our girls from FGM. SOYDAVO is committed to working with human dignity, self-development, and to make people promoters of their own growth for women, youth and children through mobilization of their own potential and by implementing projects that meet their needs for education, health, skill training, income generation, sports and self-empowerment. To achieve a society where children, women and youth are able to live their lives in peace and have their rights safeguarded in order to attain better social, political, economic, education and health standards. Copyright © 2011 - 2019 Somaliland Youth Development & Voluntary Organization - SOYDAVO All Rights Reserved.